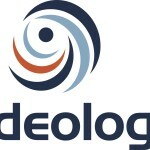 Videology, a leading software provider for converged TV and video advertising, released ‘The Mobile Impact: Driving Brand Metrics through Mobile Video Advertising,’ a white paper highlighting the results of four recent mobile video ad campaigns as measured by Nielsen’s Digital Brand Effect study. The release comes in conjunction with the company’s fourth ‘Knowledge Lab,’ an educational series meant to provide definitions, data, and explanations of complicated subjects. This installment is focused on mobile. A CPG advertiser’s campaign resulted in a 125% lift in message awareness by using a mobile-focused approach for the video campaign. A major streaming video content provider’s campaign resulted in a 122% lift in awareness for a new show by targeting targeting mobile users based on their TV-viewing habits. Notably, the mobile campaign was twice as effective as desktop in brand building. A food brand’s mobile campaign resulted in a brand awareness lift of 46.6% by targeting audiences known to frequently consume video on mobile devices. Full details on all three campaigns are available in the white paper on Videology’s website. As pointed out in Videology’s mobile-focused Knowledge Lab, mobile video viewing has experienced exponential growth, with a related increase in ad spending for the medium. The Lab also defines the different strategies for mobile video targeting across the mobile web and in-app placements. Additionally, the Lab outlines the nuances and challenges related to IAB mobile standards (VAST, VPAID, MRAID), mobile inventory channels and attribution of ad campaign effectiveness. Videology has found the advertisers are supporting this device-agnostic video strategy. For instance, in Q2 2016, four out of five campaigns executed on the Videology platform ran across multiple devices, an increase of more than 50% from the year before. Of all campaigns run, 86% leveraged mobile video to some degree. Read Videology’s full Knowledge Lab on mobile video advertising here. Videology Knowledge Labs are published on a monthly basis. Through straightforward overviews, Videology Knowledge Labs provide definitions, data, and explanations of complicated subjects, to bring simplicity and clarity to an otherwise complicated industry. Knowledge Labs are part of the company’s broader ‘Videology Labs‘ initiative, which was announced in March of 2016. The homepage for Videology Knowledge Lab is here: http://www.videologygroup.com/labs.